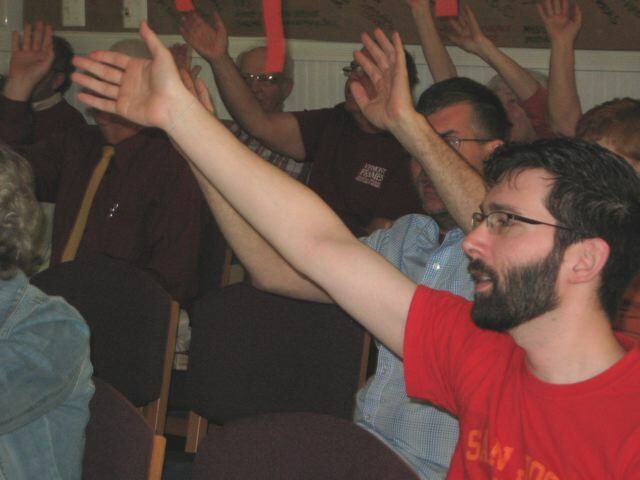 Taftsville members were surprised by bright decorations on Pentecost morning. Samantha helped Courtney put up decorations on Saturday night, using the fire colors of red, orange, and yellow. On Sunday, they turned on the fans so the streamers would blow in the breeze a bit as a visual reminder of the wind and fire filling the room. Everyone wore their fire colors as well, and the room glowed! 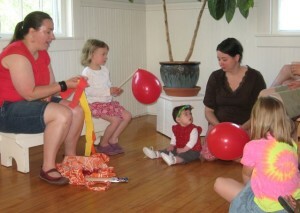 And for the kid’s lesson we made Pentecost balloons. * Balloons to celebrate that Pentecost is the birthday of the Church. 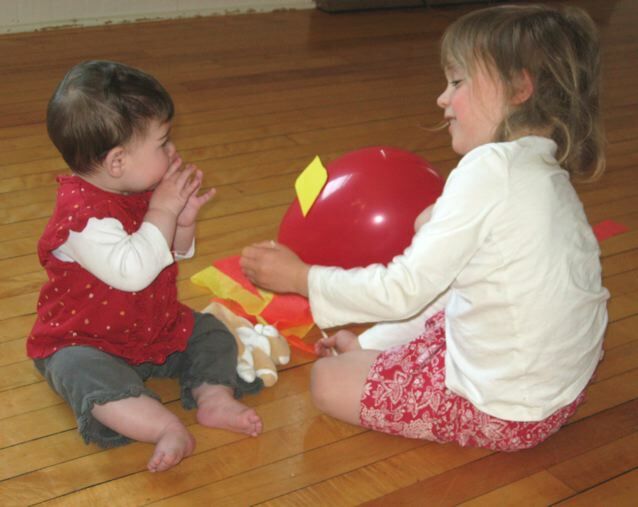 * The balloon is red, because that is the liturgical color for Pentecost and the Holy Spirit. 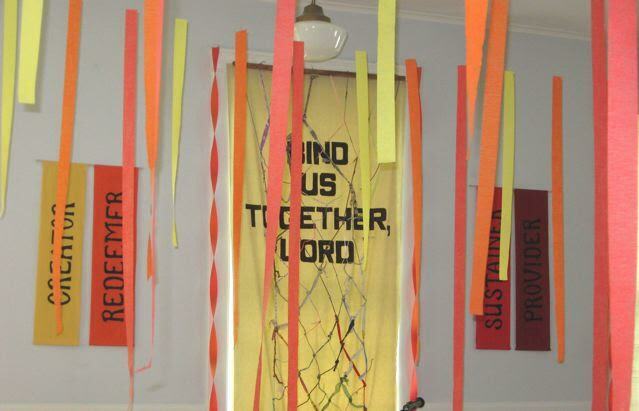 * We added streamers to remember the rushing wind that filled the room. * We added flames to remember the fire that settled on every believer in the room. * And we added a dove, the more common symbol of the Spirit, to remember that this was the day the Spirit came. Then we ended by singing the Raffi kids tune “You gotta sing when the Spirit says sing” with verses of clap, stomp and wave.